Are you looking to add style and personality to your home, but are unsure where to begin? Your home’s walls are a fabulously versatile décor and design option, offering a range of stylistic possibilities and opportunities. Don’t be intimidated by your dwelling’s walls, they can provide a blank canvas for you to impart a little of your creativity and uniqueness, without too much risk. To get you started, we’ve collated 8 creative ideas for walls, which are sure to spice up your interior with a burst of charisma and character. Read on below to learn more, and update your abode simply, stylishly and with flair! First up we check out a brilliantly inviting wall mural, which boasts an impressive coastal scene. Sure to improve the overall ambience within your home, this stylish floor to ceiling vista creates a sense of serenity, which is sure to add a harmonious feeling of tranquility. If you aren't too interested in seaside imagery, consider something a little different. These days there are numerous options and wall murals come in virtually every imaginable pattern and colour. 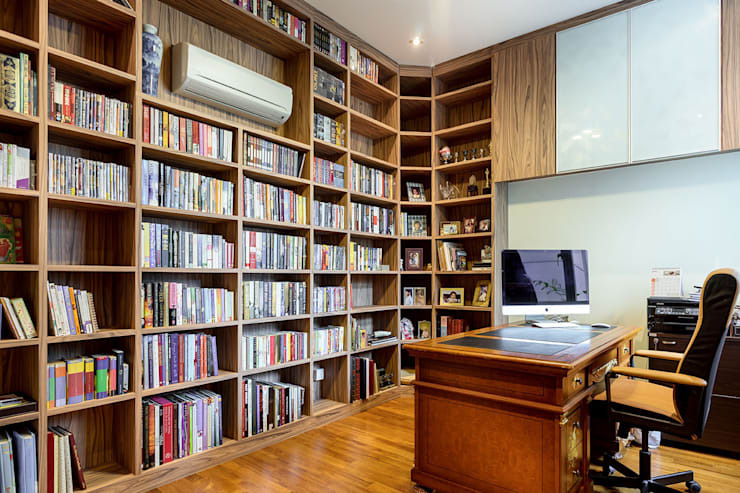 Sophisticated, regal and sure to impress, this Singapore apartment makes the most of its wall space by adding floor to ceiling shelves that are perfect for storing books, as well as other ornamentation. To get the right joinery for your abode, it pays to speak to a professional. If you want to get started today, look one up via the homify website! To add interest to your room, look at different textured options such as fabrics and textured wallpaper. If you are considering wallpaper with embossed areas, choose something that will add depth to your space, as opposed to it overwhelming the room. 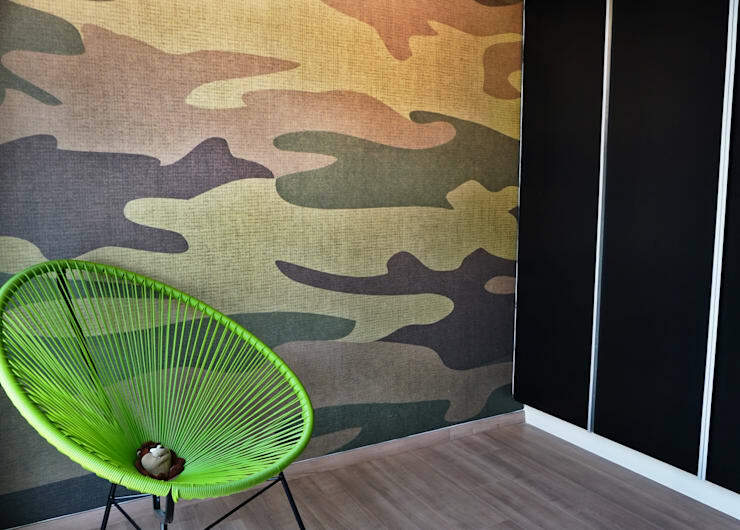 Take some cues from this interesting camouflage wallpaper, which has been combined with a stylishly retro armchair, and timber flooring. When decorating the walls of small spaces we all tend to revert back to a palette of neutral and muted tones. However, this needn't be the case. 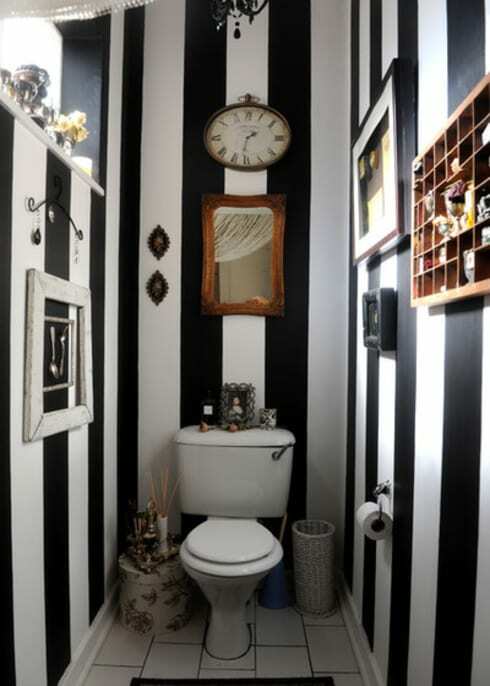 In this washroom we see each wall covered with striped wallpaper, as well as plenty of art and curios. Go minimal with a statement fireplace that is sure to add opulence and luxury to your home. Not simply to warm one's home, fireplaces add ambience to a room, and are seen in a number of stylish villas in Singapore. Fireplaces can also reduce humidity in a dwelling, and come in a range of low-heat options. 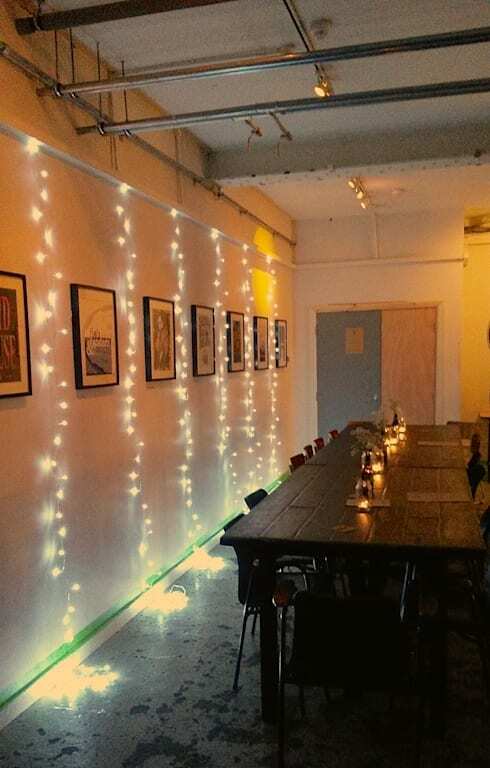 Fairy lights are always a popular choice when decorating one's home, but often it is difficult to know how to install them in a way that looks stylish, and avoids an amateurish aesthetic. Take some cues from this example, which drops plenty of different lengths in order to create a whimsical fairy tale wonderland. Coming to the end of our list we take a peek at this bedroom, which has incorporated bright wallpaper. 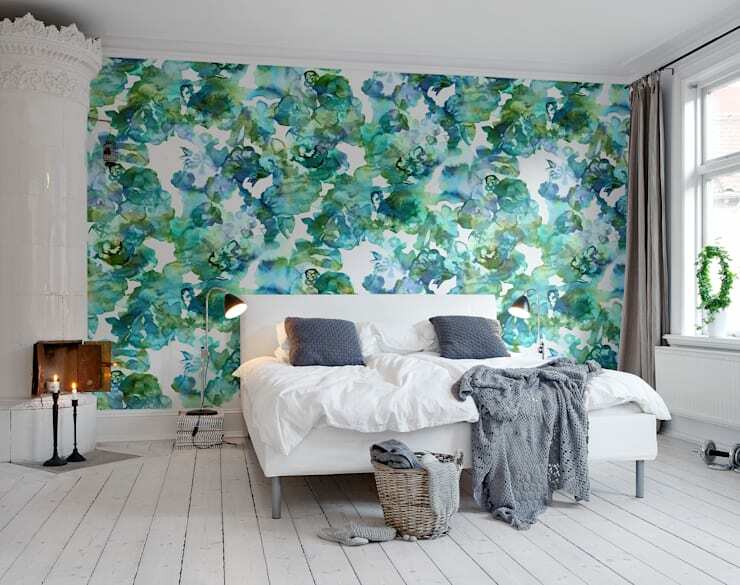 The wallpaper is designed with a watercolour print, which gives the impression of foliage, and brightens the room. Abstract in its design, it is one of a range of different options that currently flood the wallpaper market today. Do some research, surf the Internet and decorate your walls efficiently and gorgeously. Finally, we take a quick look at what to do if you don't have a blank wall to work with. Wall dividers are perfect for adding storage space to your home, while offering numerous design options within your room. 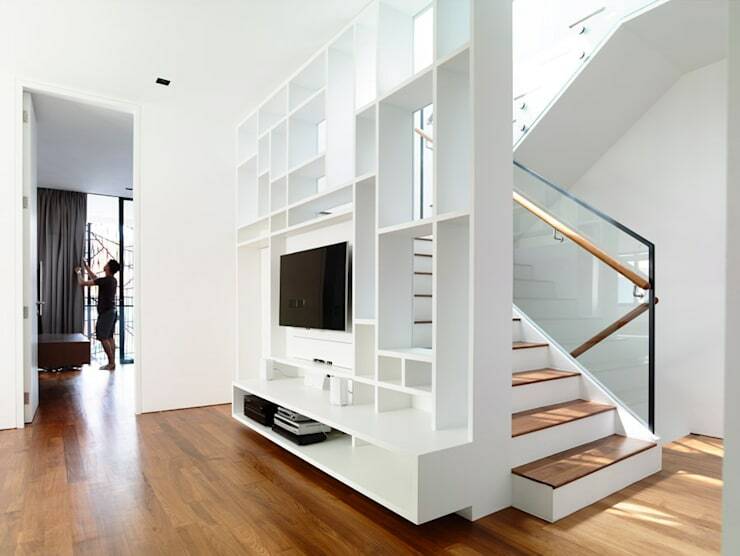 This white sectional piece has been added to one side of the staircase, imparting interest, while offering a neat area for the television and any domestic accessories. How would you like to update your interior walls?